If you are in need of winter vacation ideas that take you away from the icy cold weather, then Mexico is a great choice for warmer weather. However, you do need to realize that temperatures can vary based on your destination, meaning that you could still experience chilly temperatures in some parts of the nation. 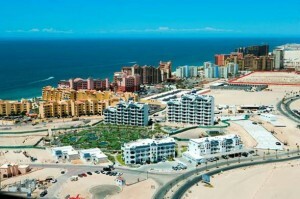 Your Mexican auto insurance by MexicanInsuranceStore.com is important no matter where your driving takes you. You can get Mexico car insurance from MexicanInsuranceStore.com in just a few minutes’ time, helping as you plan for your getaway. Many of the more southern areas in the country will provide a more tropical experience throughout the year. You can explore the ruins of states like Chiapas or Oaxaca. You can explore beaches in Cancún or Acapulco. The longer driving distances mean that you are more exposed to risks on the road. Typical risks can range from road damage to stray animals, and your Mexican auto insurance by MexicanInsuranceStore.com doesn’t automatically cover damages to your vehicle in an accident not involving another motorist. Just like at home, you need to remember that liability coverage simply addresses your responsibility toward others if you are at fault. Full coverage is important for those incidents that don’t involve others but cause damage to your car. Your Mexico car insurance from MexicanInsuranceStore.com will allow you to compare pricing for both types of coverage. Additionally, you can review the benefits of each. If you are heading into more southern areas, your longer driving time will require a longer term of coverage with Mexican auto insurance by MexicanInsuranceStore.com. If your stay will be more than a few weeks, you can probably benefit from a six-month policy. If you plan to return later in the year, you may want to consider a one-year plan. Greater value is provided with long-term coverage for frequent visitors, and you can compare pricing easily when you generate Mexico car insurance from MexicanInsuranceStore.com. Remember to buy Mexican auto insurance by MexicanInsuranceStore before leaving! While southern portions of Mexico may be far away, you can access your coverage details online via easily available Internet cafés or wireless access points. You can manage your account, update limits or get Mexico car insurance from MexicanInsuranceStore.com to ensure that you are covered through the duration of your trip. Mexican auto insurance by MexicanInsuranceStore.com is required when driving on highways across the border! Quite a number of people head towards Mexico as summer holiday starts however they need to be very precise about the purchasing the best insurance policy, thus Mexico insurance is rated the best.